drivingandlife: IS THIS AUTOMOTIVE AIR B'n'B? Now, here's a thing? You're off to 'Somewhere' on business, but you could wangle a day or two of personal time, and where you're going has a renowned driving road that you'd just love to experience. 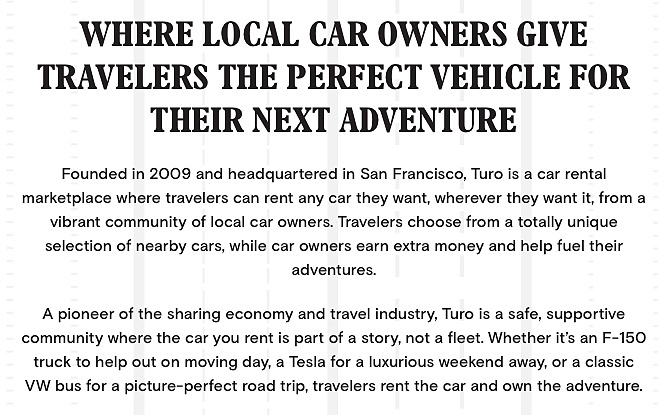 Then if you're in the USA, you need to know about TURO. Yep! Let's say you own an exotic car and want to make extra cash. 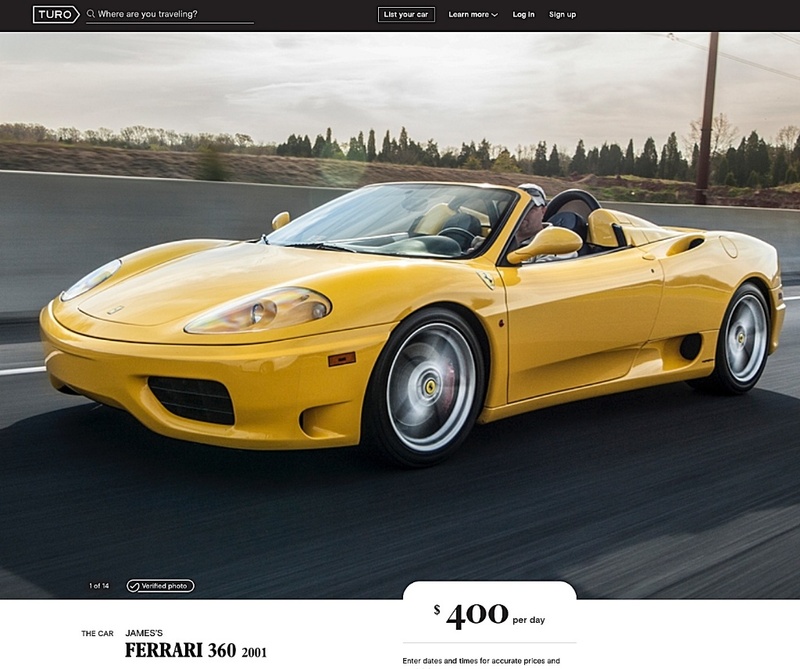 You sign up with TURO, and complete strangers can book your car for a day, a week or a month. Like I said, it's best described as an automotive version of the accommodation service, Air B'n'B, where total strangers rent your house. This is an amazing car rental company! I came down for a short visit in San Francisco and arranged to rent a car from TURO. They were very accommodating and I was able to drive around town with a great car. If it's excellent customer service that you want, you should choose TURO. Articles that involve important information such as information about car rental services, how to get guaranteed auto financing, fuel efficient vehicles, top car dealerships and the likes are really worth reading. Good job! 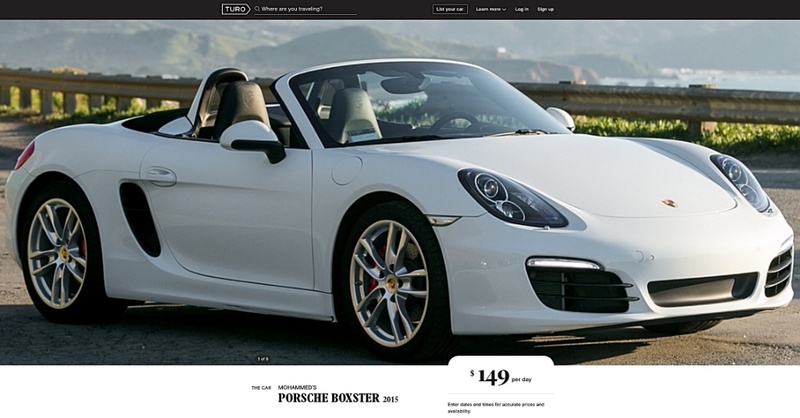 TURO is my favorite list for their excellent customer service that you looking for! I have no choice without TURO, the car rental company. By the way, thank you for the yellow car picture on the road. I just love it.